The leaves are falling, falling, falling! 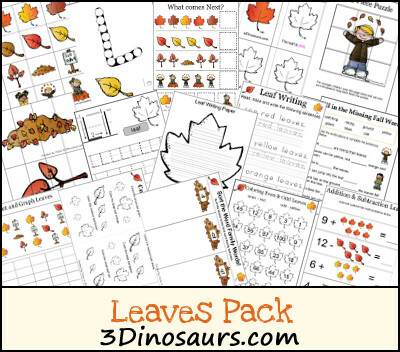 Download this free leaves activities worksheet set from 3Dinosaurs.com. There are over 70 pages of activities plus a 40 page tot pack. Click here for hundreds of free fall printables and activities!